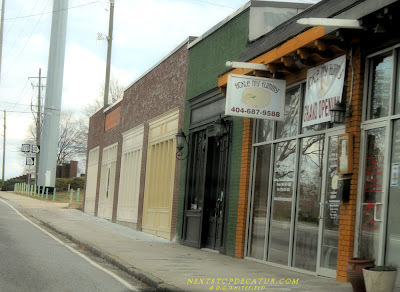 The Daulton House on South McDonough St.
Tickle My Tummy is based in Downtown Decatur, GA. Our team has over 10 years in the lunch, catering, custom cakes and cheesecakes. Our company is based on the belief that our customers' needs are of the utmost importance and our entire team is committed to meeting those needs. A high percentage of our business is from repeat customers and referrals. 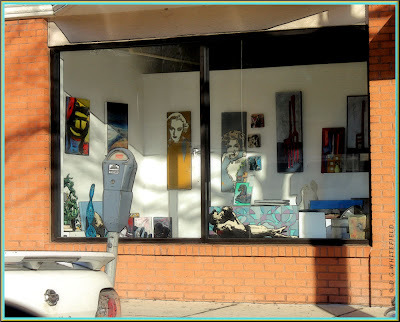 We also value our community and what is going in and around it. 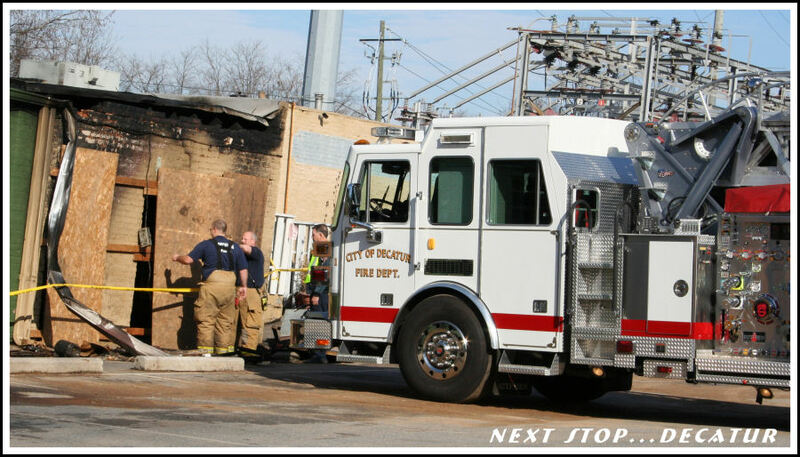 You will find that here at Tickle My Tummy we are dedicated to helping our community. 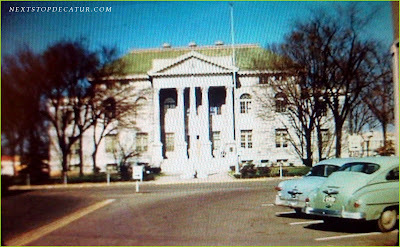 Thanks to flickr member onagus for allowing me to post this photo of Decatur of East Court Square. Next Stop...Decatur says: This is a great photo, I love the effect. This was sent in by Mike Durrett. Big weekend, having my second date with The Giant Gila Monster! 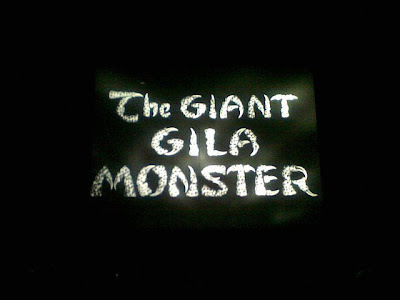 My first encounter with "The Giant Gila Monster" took place when I was seven. 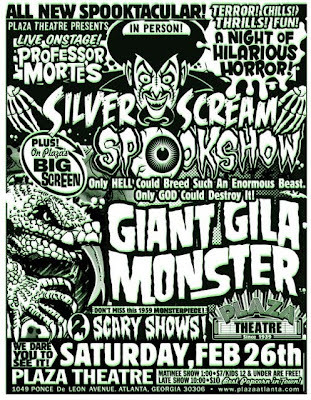 I recall observing The Giant (Human-Hongry) Gila Monster terrorize Texas and thinking aloud, "Man, this movie is really crummy." Flash-forward 50-odd years. (I'm an eclectic kind of mix-and-matcher on my years.) The Plaza Theatre in Atlanta revived the dubious rodent's dubious achievement. Curses, you Plaza! With grave reluctance, I decided to revisit the film to ascertain if The Giant Gila Monster had aged gracefully. Photo of The Plaza Theatre screen. Thanks Mike for sending this in. Is Atlanta-based Wheego's new electric car the Next Big Thing. For a product that has yet to gain a firm hold in the broad consumer market, the electric car business has a lot of players. A crowd of companies, from unknown upstarts to big-name traditional manufacturers, have at some point announced plans to put all-electric or hybrid electric/gas cars on the road in the next couple of years. They hope to catch a wave of environmental awareness, international political concern and public interest in what might be the Next Big Thing. 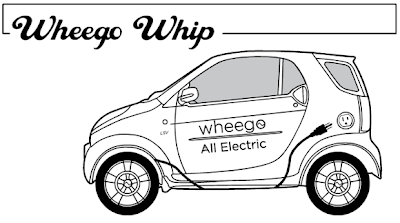 One company that's actually gotten a product to market -- no small feat -- is Atlanta-based Wheego Electric Cars. Wheego, which rolled out the limited distance, low-speed Whip model last year, said it plans to start delivering to dealers its longer-range, highway-speed LiFe model by the end of March. An Icelandic video game developer announced Thursday that it is bringing about 150 new jobs to Decatur. CCP Games will move its North American headquarters from Gwinnett County to Decatur. The company will relocate its 150 employees and expects to hire another 150 workers by 2013, company spokesman Ned Coker said. The company is now renovating 40,000 square feet of office space at 250 E. Ponce de Leon Ave. 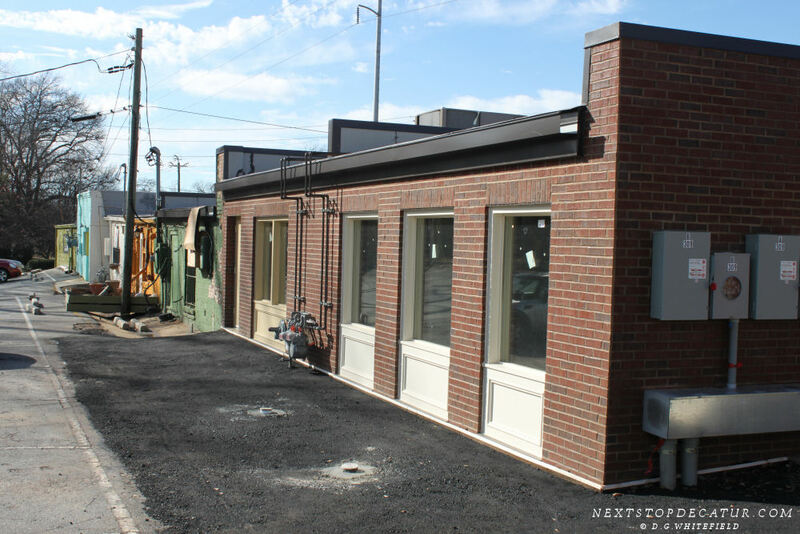 It plans to relocate by the end of the summer. The jobs will pay about $55,000 a year and be offered to DeKalb residents first, said Jonathan Weintraub, the county's deputy chief operating officer for development. Coker said the company, which moved to Gwinnett in 2007, was looking for more space and an urban location closer to MARTA. The company markets video and online games, along with role playing board and card games. The company received a $500,000 state grant to stay in Georgia and will receive workforce training from DeKalb, Weintraub said. The move makes CCP Decatur's largest private sector employer, Weintraub said. transformed into visual works of art. Wednesday - Saturday 10a.m. till 5p.m. Let Cook’s & Sherlock’s be your lucky charm this St. Patrick’s Day! St. Patrick’s Day is coming up – March 17 – and The Cook’s Warehouse has the Irish stew, soda bread and everything else for a traditional Emerald Isle meal! Let Cook’s & Sherlock’s be your lucky charm this St. Patrick’s Day! Laurie & Will Moore of Moore Farms are here to show you how to prepare some classic Irish dishes that are sure to be a hit with family and friends. Using fresh, locally provided ingredients, you will learn how to make a Fresh Spring Salad, Irish Soda Bread, Irish Cornbread and Will's warm and bubbly Irish Stew along with Stuffed Cabbage (for vegetarians and non-vegetarians). And for dessert? What else but Irish Cream Cheesecake! 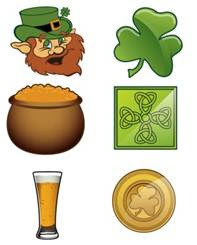 A traditional St. Patty’s Day celebration would not be complete without a cold, frothy beer to wash it all down, so we’ll be sampling delicious local beer to accompany this Irish feast! Ready, set, drink! Lace up your sneaks and come on out to support the Junior League of Altanta’s Shamrock N’ Roll Road Race. A portion of the evening’s sales will benefit the March 13th race which features a 5K, 10K and a Kilt Run. Take a lap around the bar, enjoy traditional Irish music and register to run! 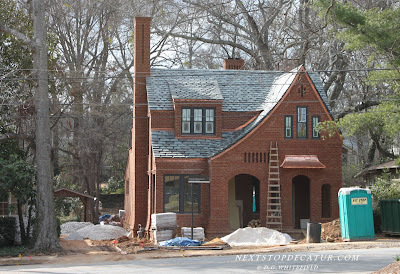 About the Pub – The Marlay House is an authentic Irish owner operated Dublin style pub located in Decatur, Georgia. It’s a place where friends and family can go for a meal and a pint surrounded by traditional decor combined with a contemporary welcoming Irish atmosphere. The Marlay blends the owners’ Irish heritage with their current lives in Decatur. We have an extensive beer selection, top tier pub grub alongside seasonal specials with local produce. Check our events section for upcoming food and beer pairing events. Regular Opening Hours – Daily at 11.30am with Brunch served from 10.30am to 3pm on Saturdays and Sundays. Monday to Thursday the pub closes at Midnight (Kitchen closes 10.30p) & Friday and Saturday the pub closes 2am (Kitchen closes 11.30pm). Many of you knew us as The Grange Public House but as of January 31, 2010 we changed our name to The Marlay House. It is a sordid tale but we decided, just like David La Touche did in Rathfarnham, Co. Dublin Dublin in 1764, to change The Grange into The Marlay. We have the same Irish ownership. Gone With the Wind Home Movies found by Atlanta History Center. Thanks Katherine Mason @ Porter Novelli for sending this in. Photos from Nalley Tree Festival this past weekend in Downtown Decatur Square. We wanted to let you know that the Nalley Tree Campaign inaugural tree planting will take place this Friday, Feb. 18, (Georgia’s Arbor Day) at 11 a.m. at Decatur Cemetery. At this inaugural planting, Mayor Bill Floyd will speak on the Nalley Tree Campaign, Georgia Arbor Day and the Decatur Cemetery construction initiative. Additionally, members of Trees Atlanta will assist in the inaugural planting. 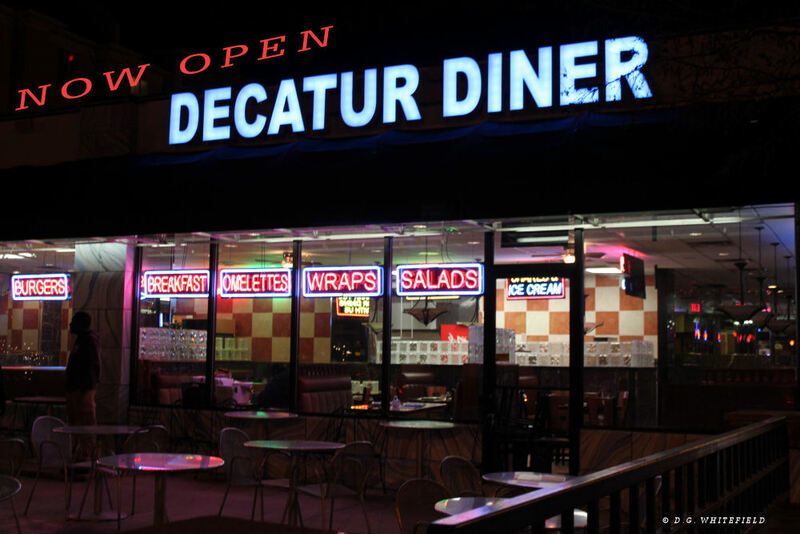 Decatur Diner is Now Open . Could this old photo be Decatur GA.? Decatur GA. ? ... Maybe. (unknown photo). 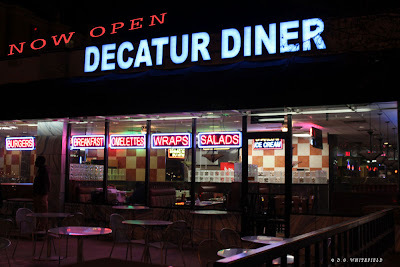 Could this be Decatur, GA. Here is the reason I think it might be. put out several years ago, as I was looking through it, there in the middle of the pages was this single old photo someone left in the book, it's as if someone may have been comparing it to some of the old photos in the book, that's why I think this old photo may have been taken in Decatur,Ga. The photo had no writing on back. Join Laughing Pizza as they travel across Georgia for a family concert tour to support GPB-Georgia's PBS! A portion of the proceeds from all ticket and merchandise sales at the shows will go to GPB. To learn more visit www.laughingpizza.com . 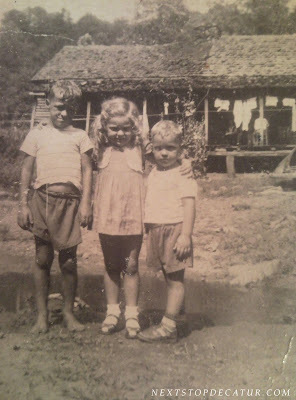 Mingei World Arts - 427 Church Street - Decatur GA.
Robert Blake Visits The Decatur Theatre in 1947 for Republic Pictures "Red Ryder "
-- The American actor who began his career as a child star in Our Gang comedies. 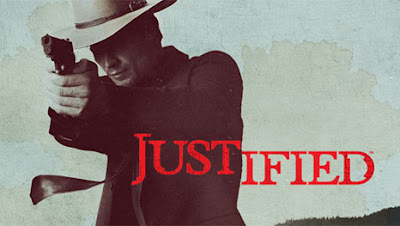 Learn more about Robert Blake (Bobby Blake) at link below. 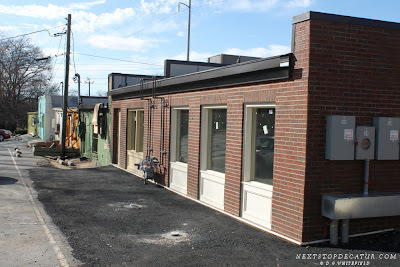 Be sure to visit The Decatur Theatre site for new updates. Description Friends of the Decatur Library's winter book sale will be Saturday, February 5, 2011 from 9:00am to 3:00pm at the Decatur Library's lower level at 215 Sycamore Street. Choose from thousands of gently used books at low prices...all to benefit the Decatur Library's programs and collections. Be there! Decatur families and residents are invited to attend the 1st Annual Nalley Tree Festival, a celebratory kick-off for the Nalley Tree Campaign. The Nalley Tree Campaign is an initiative to plant 10,000 trees in city of Decatur and DeKalb County. The festival – being hosted by the Nalley BMW, Nalley Infiniti and Nalley Nissan dealerships in Decatur – will be held on Saturday, Feb. 12, from 12 – 3 p.m. at Decatur Square. For more information about the event, please visit www.NalleyDecatur.com. 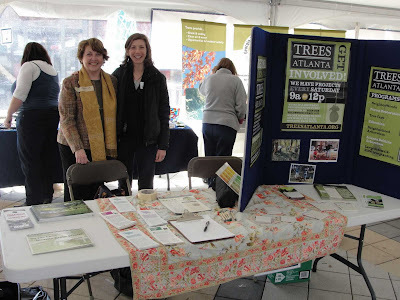 As a key Decatur community historian and news source, we wanted to let you know about the 1st Annual Nalley Tree Festival being held at Decatur Square on Saturday, Feb. 12, from 12 – 3 p.m. for potential inclusion on your blog. 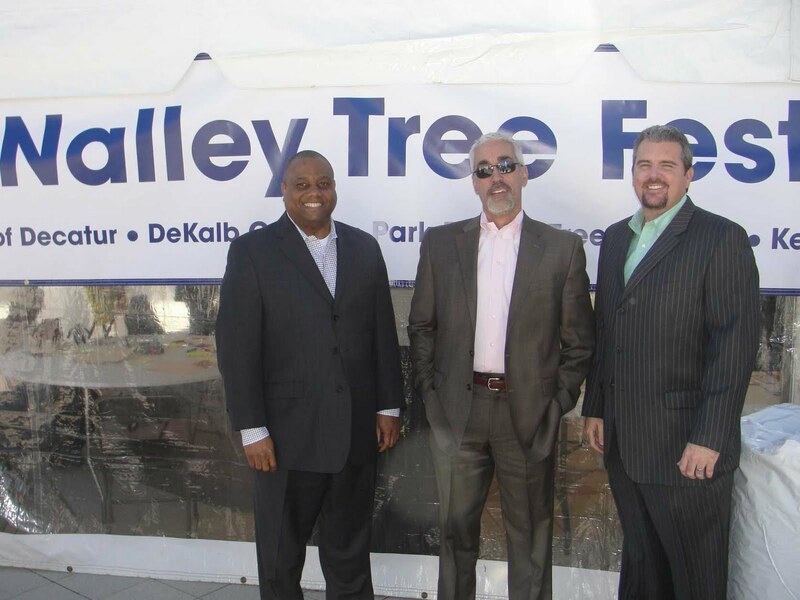 The event is being hosted by Nalley BMW, Nalley Infiniti and Nalley Nissan, as the kick-off to its environmental, year-round Nalley Tree Campaign initiative to plant 10,000 trees in the City of Decatur and DeKalb County. 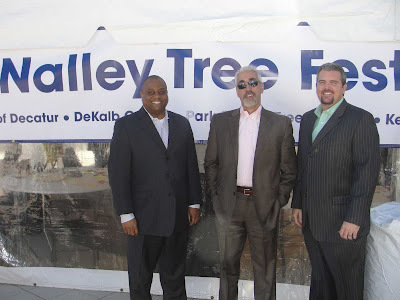 It is a local business/community initiative being led by these three Nalley dealerships at the 1600 block of Church Street in partnership with several green businesses and organizations, including City of Decatur, DeKalb County, Park Pride, Trees Atlanta and Keep DeKalb Beautiful. The Nalley Tree Festival, welcoming Decatur families and residents, promises to offer attendees music, children’s activities, as well the opportunity to learn more about planting complimentary tree seedlings in recognition of Georgia’s Arbor Day on Feb. 18. 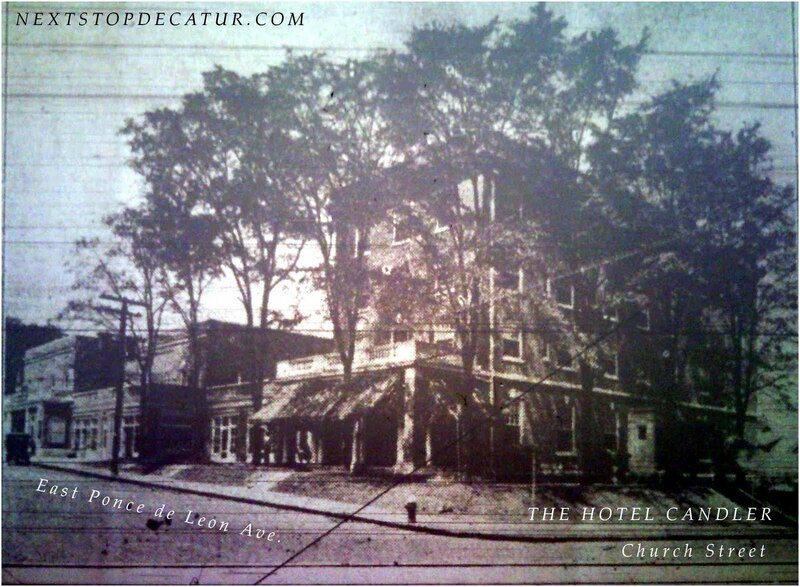 Though there will not be any historical pictures of Downtown Decatur, there should be ample new pictures of Decatur Square at this 1st annual event. Please let me know if you have any questions. Also, if are interested in attending the event and/or speaking with someone about this local Decatur initiative, I’m happy to connect you with the appropriate contact. Tickets Selling Fast for "r U smarter than a 5th Grader"